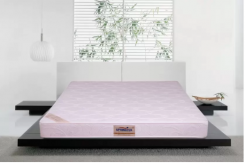 Flipkart is selling Springtek Memory Foam Orthopaedic 5 inch King Bonded Foam Mattress Rs. 10489 only best and lowest price online.To claim this deal, go through the steps mentioned below. Keep Visiting dealsheaven.in for more Best offers ,hot online deals, promo code, free deals online,free samples, coupons and discount . How to buy Springtek Memory Foam Orthopaedic 5 inch King Bonded Foam Mattress?